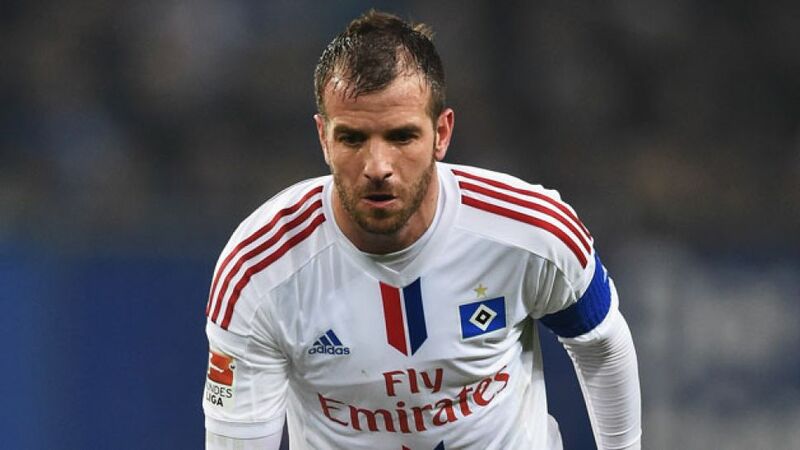 Hamburg - Hamburger SV have confirmed that captain Rafael van der Vaart will leave the club when his current contract expires at the end of the season. Chairman Dietmar Beiersdorfer revealed on Saturday that the 32-year-old Dutchman, who rejoined the Red Shorts in 2012 after a three-year spell at the club between 2005 and 2008, will not be offered a new deal in the summer. Meanwhile, former Germany international Marcell Jansen is also set to leave the northern giants. Van der Vaart initially joined Hamburg from Dutch giants AFC Ajax in 2005, scoring 30 goals in 74 appearances during his first three-year spell. His impressive form earned him a move to Real Madrid CF, where he spent two years before joining English Premier League outfit Tottenham Hotspur FC in 2010. He rejoined HSV in August 2012 and has clocked up 81 appearances in all competitions since his return. Borussia Mönchengladbach academy graduate Jansen has made 183 outings for die Rothosen since signing for the club from record titleholders FC Bayern München in 2008.